Why? Because I want it! 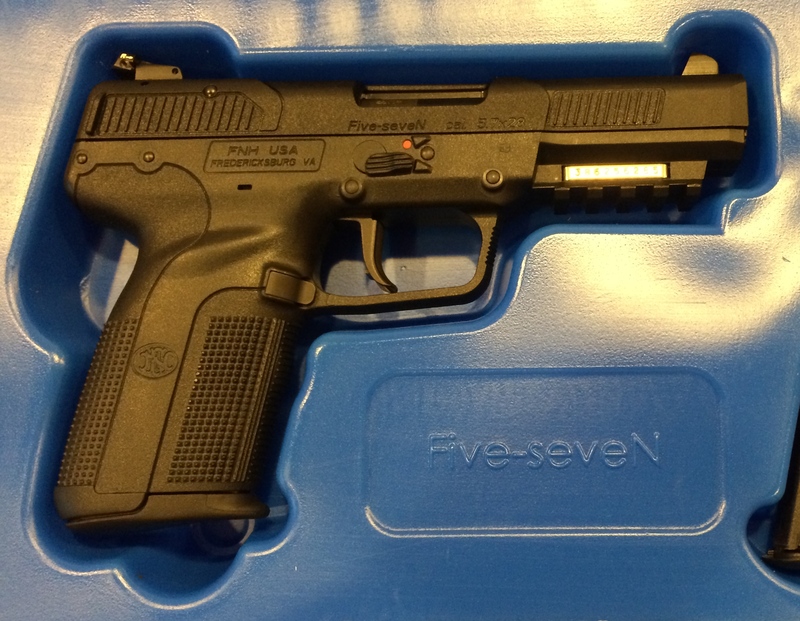 I’ve been pondering for months the possibility of getting my hands on an FN Five-Seven. Not nearly badly enough to special order one, especially because I’ve never held one, never wrapped my hands around one, never gotten to fiddle around with one, but every time I think of it, I check the counter at the LGS to see if they’ve got one. Nope. Never. Not a chance. Those things are scarer than…well…scarcer than unicorn tears. The ammunition for them has been back in stock for some time, at least enough so that its purchase is pretty much unrestricted (other than the still-standing 10-box limit on all ammo). But the pistol itself? Neither seen nor heard from. Until today, that is. I just glanced into the case and saw a Five-SeveN sitting there! One of the guys pulled it out for me, and I started fiddling with it, trying to see how I liked it (-if- I liked it), how it fit my hands, all of that. I’d barely set it back on the counter and told him that I liked it just fine and that I would love to exchange my hard-earned cash for their nice shiny gun before 2 other people attempted to buy it. Turns out, that was the last one they had. So…MINE! The FiveSeveN is one accurate little shooter!